Here is a picture of a yellow closed Pumpkin flower in Evening Sunlight. Beautiful Yellow Garden Flowers in Green Background. Here is picture of beautiful yellow flowers dipped in rain water. On Yellow flowers, you can observe some shade of orange color too. In the picture, you can find different shades of yellow color from dark yellow to light yellow. In Photography, we can take a picture from many views and numbers of times, pictures taken by us surprise us. 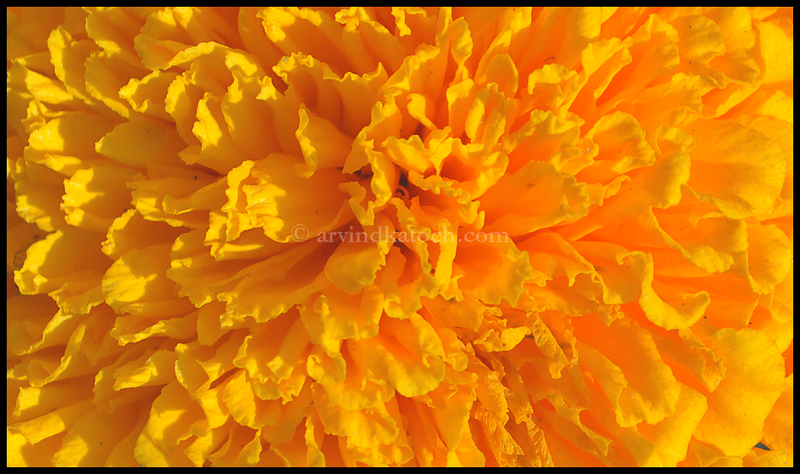 Here is one picture of Yellow Marigold flower from the side angle. Here is picture showing dance of life inside a fully grown yellow marigold flower. In this picture, you can also observe effect of Sun light and shadow. Watch this picture at different angles to see changes in colours.